HONG KONG—Hong Kong’s 55-year-old Ming Pao newspaper has suddenly announced the replacement of chief editor Kevin Lau Chun-to, and various media outlets have reported that the new chief editor will be Chong Tien-siong, a known supporter of the Chinese Communist Party (CCP). If this is true, Ming Pao will become the second mainstream newspaper in Hong Kong, after the South China Morning Post, to be run by pro-CCP chief editors. Hong Kong citizens believe this reflects the CCP’s internal power struggles, and long-standing attempts by the CCP to control Chinese-language media outside mainland China. 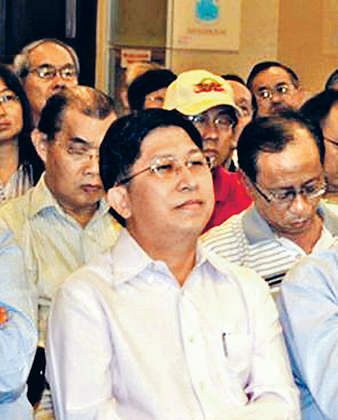 Chong Tien-siong is a Malaysian-Chinese acquaintance of Ming Pao’s owner, Malaysian businessman Tiong Hiew King. Chong has championed the adoption in Hong Kong of the national education curriculum glorifying the CCP that is taught in the mainland, a curriculum Hong Kong parents have objected to as brainwashing. He also has led Malaysian-Chinese media delegates to visit the CCP-mouthpiece Xinhua News Agency. Ming Pao staff reported that Lui Ka-ming, the president of its North American branch, was transferred back to Hong Kong last year to be editorial director and that he is in conflict with current chief editor Kevin Lau. Lui was supported by the Chinese Consulates in North America, and the Ming Pao staff said he was sent by the CCP to monitor Ming Pao and screen its content. The replacement of the chief editor was brought about by power struggles among CCP leaders, sources told Epoch Times. The sources said that the editorial direction of Ming Pao is determined by the Jiang Zemin-Bo Xilai faction of the CCP, with retired CCP official Zeng Qinghong directing things behind the scenes. Most Ming Pao staff are said not to be aware of this. Former Ming Pao freelance contributor Shu Kun told Epoch Times that Ming Pao’s reporting is very confusing. From attacking the 2012 Chief Executive candidate Henry Tang to criticizing his competitor Leung Chun-ying, from supporting former CCP-head Jiang Zemin to supporting current CCP-head Xi Jinping, “its political stance is really uncertain; even we do not understand it,” said Shu. Recently, Ming Pao switched to support Xi Jinping instead of Jiang, upsetting the Jiang faction. This has led many citizens to believe that the Jiang faction has pushed back against Xi Jinping with this replacement of the chief editor. Ming Pao showed support to the Jiang faction when it reported on a press conference in New York held by Chinese billionaire Chen Guangbiao, who was labeled as China’s No. 1 philanthropist by Jiang faction members. Chen had announced that he wanted to buy the New York Times, then used a press conference to reignite the “Tiananmen self-immolation” hoax. The Jiang faction had created that hoax in 2001 in order to rouse support for its policy of persecuting Falun Gong. Most Chinese-language overseas media and mainland Chinese media ignored this story, but Ming Pao reported on it extensively, as did Hong Kong newspaper Sing Tao Daily and its English-language sister newspaper, The Standard. The CCP has been encroaching on overseas Chinese-language media for some time, usually using overseas businessmen to purchase media with good reputations. The CCP supplies the funds for these purchases. The CCP uses these businessmen to disguise the fact that it is controlling the media behind the scenes. These media usually keep neutrality, or even deliberately criticize the CCP on minor matters, but at sensitive moments and with critical subjects they will speak for the CCP and spread false news. The CCP’s funding is very subtle, using private companies to inject funds to form a joint venture. These overseas businessmen act as the representatives of the media, but the principles and direction of editorials are tightly controlled by agents of the CCP. A lot of CCP insider news is released by these media firsthand, such as the news on the two recent sessions of the CCP. The U.S.-based journal China Brief reported in 2001 that the CCP had since the early 1990s purchased through third parties some important news media companies in Hong Kong, including Ming Pao, in preparation for the hand-over to the People’s Republic of China of Hong Kong in 1997. “Employees at Ming Pao’s New York office have told sources that their ‘true boss’ is none other than the Chinese Consulate [in New York], and that they are obligated to do whatever the Consulate asks,” China Brief reported. The CCP has also contacted top-tier tycoons in Hong Kong, including Li Ka-shing, Run Run Shaw, Cheng Yu-Tung, and the Kwok brothers, using the Chinese market as bait to persuade them to buy media for the CCP. These tycoons have generally refused, unwilling to support communism. Besides, the profits from such agreements are not high enough to win them over. But some Hong Kong second- and third-tier tycoons and southeast-Asian tycoons curried favor with the CCP, quickly got promoted, and finally became pawns of the CCP.